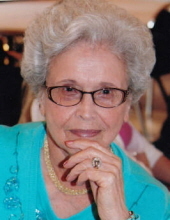 Roberta "Bertie" Hatfield, age 91, of Hazard, KY passed away on April 11, 2019 at the Hazard Medical Center. Bertie was a member of the Christopher Church of God. She loved working in her flower garden, taking pictures of her family and spending time with her puppy Boots. She was born on October 30, 1927 to the late Letcher Miller and the late Mahala Gay Miller. She is also preceded in death by her husband: Melvin Jack Hatfield; two sisters: Mondola & May and three brothers: Lane, Paul & Moss. She is survived by one daughter: Debbie (Jackie) Turner of Georgetown, KY; one son: David Hatfield of Hazard, KY; four grandchildren: Davida (Todd) Carter, Robin (Andrew) Mullins, Jason (Kelly) Turner & Andrea Turner; five great grandchildren: Haley, Jack, Austin, Hayden & Harper; sister-in-law: Thelma Collins; best friend: Betty Jo Holliday; special friends: Johnny & Jeanette Compkis, Irene Carter, Salelia Kilburn & Roland Combs along with a host of family & friends. To send flowers or a remembrance gift to the family of Roberta "Bertie" Hatfield, please visit our Tribute Store. "Email Address" would like to share the life celebration of Roberta "Bertie" Hatfield. Click on the "link" to go to share a favorite memory or leave a condolence message for the family.